There's something stranger in the neighborhood. 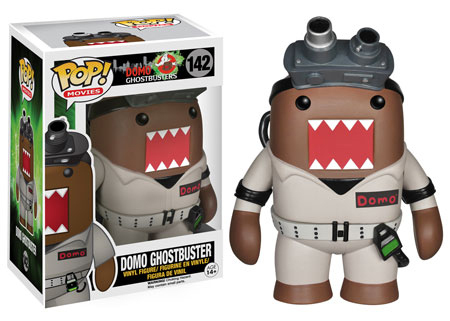 2015 Funko Pop Domo Ghostbusters vinyl figures mash-up a pair of popular properties. 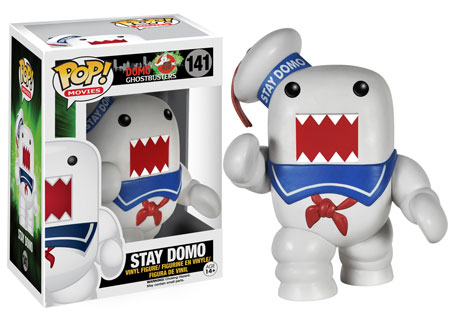 The lineup has three pieces, all of which give a Domo spin on iconic Ghostbusters characters: the Ghostbusters themselves, Slimer and the Stay Puft Marshmallow Man. Sold separately, each of the figures stands about 3 3/4" tall. While not directly from the film, they are numbered as part of Funko's Pop! Movie line. 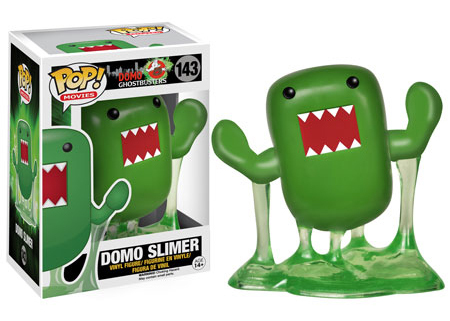 Funko has done plenty with Domo before including a series combining the character with DC Comics characters. Ghostbusters have also had their own separate line of Pop! vinyl figures. Domo Ghostbusters Slimer Plush Stuffed Animal Green Monster 10"
NEW Domo Ghostbusters No Ghost 11" Plush Toy NWT 2015 Licensed Halloween!